Sha had the most gorgeous dress and the day couldn't have been more personal, more fun or more emotional. I wish the happy couple a future that builds on the thirteen years they've already had together in lots of lovely ways. 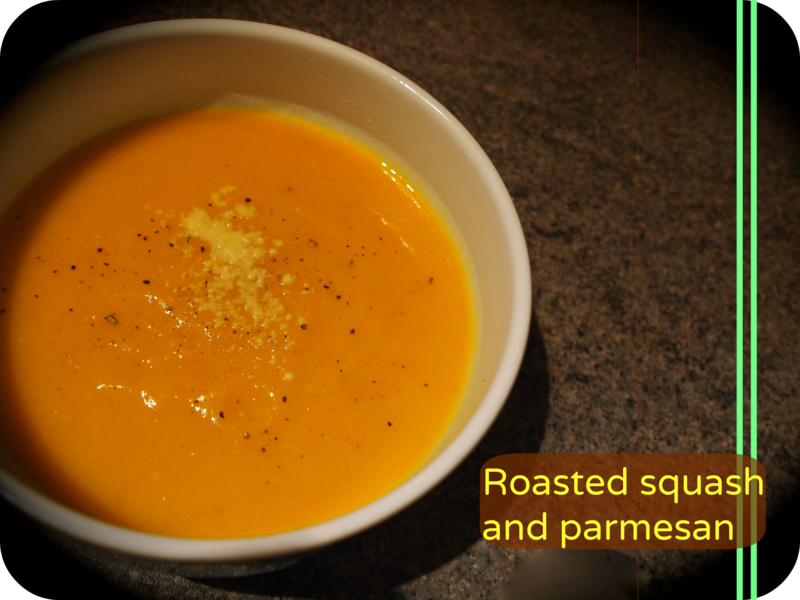 This week's soup is another one of my favourites that really doesn't feel like diet food. It's so filling and creamy, mostly because of the addition of that magical vegetable - butternut squash. I made use of a trick Jamie Oliver shared in his recent series - roasting the squash whole. which took forever to have happen but was the easiest way of cooking ever. One of the squash that I used was picked up from Reg the Veg in Clifton but they weren't sure exactly what variety it was. Preheat the oven to gas mark 7. Put the squash in a roasting dish for an hour and a half. Remove from oven and allow to cool for ten minutes. Cut in half, scoop out and discard the seeds. Scoop out the flesh and keep to one side. Discard the skin. In a large pan, melt the butter and add the shallot. Sweat for around seven minutes. Add the flesh and the stock. Cook for ten minutes, mixing together. Blend the soup, adding the parmesan. Serve and try hard not to eat all six servings at once. There will not be any Sunday soup next weekend, or at least not one of my making as we're on holiday. We get back just before Sunday but I suspect we'll be too busy to actually get anything done so I've decided to relieve the pressure a little.